It can be difficult to make financial decisions without access to the right information. We're committed to helping you make informed decisions about your financial future. 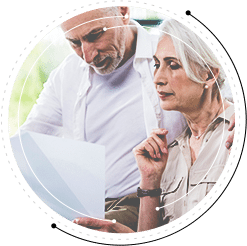 Our seminars focus on common financial concerns that individuals and families face in retirement including things like how to prepare for unexpected medical expenses and ways to create income to help support your desired lifestyle. Schedule a meeting with one of our team to create your Plan For Everything today.